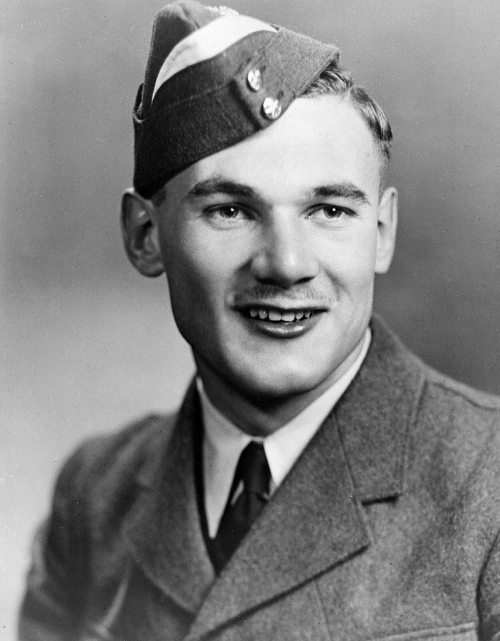 On May 11, at 10AM, the 427 (London) Wing celebrates the legacy of LAC Kenneth Gerald Spooner with a ceremony celebrating his memory. The Museum will be open to welcome visitors and guests of the ceremony. Leading Aircraftsman (LAC) Kenneth Gerald Spooner, age 20, was a student navigator at No. 4 Air Observer School, RCAF, Station Crumlin (now the London International Airport). In mid-May, 1943, Spooner, with three other students and the pilot, took off in an Avro Anson on a training exercise. Shortly after take-off, the pilot fainted and could not be revived. Spooner, who had no pilot training, took control of the falling aircraft and struggled to keep it level long enough for the other three students to bail out. The Anson eventually crashed into Lake Erie, killing Spooner and the unconscious pilot. The testimony of the surviving students brought Spooner his posthumous award of the George Cross, considered the equivalent of the Victoria Cross for comparable heroism in non-combat situations. He was the second RCAF serviceman to receive this medal.